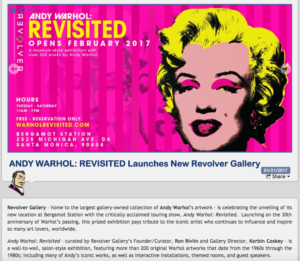 Revolver Gallery – home to the largest gallery-owned collection of Andy Warhol’s artwork – is celebrating the unveiling of its new location at Bergamot Station with the critically acclaimed touring show, Andy Warhol: Revisited. 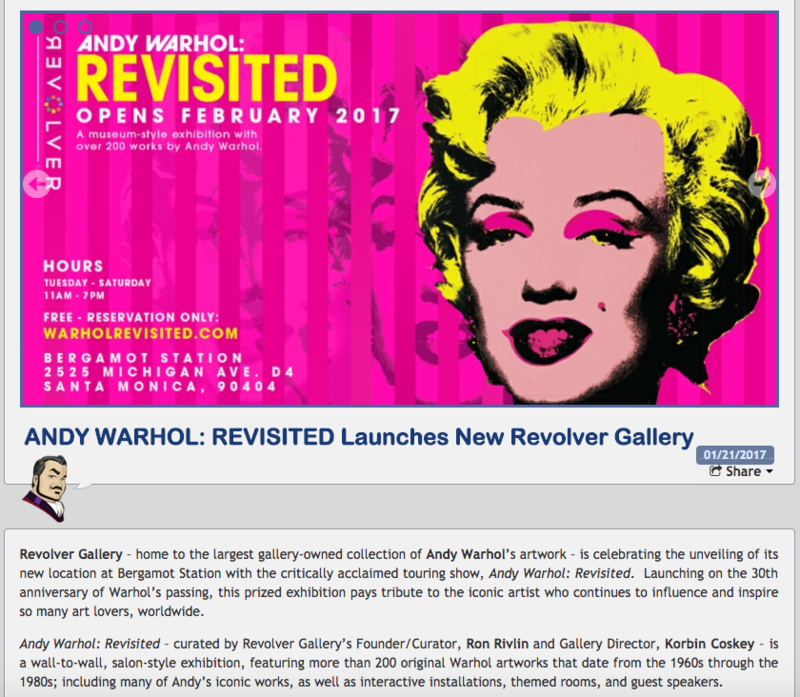 Launching on the 30th anniversary of Warhol’s passing, this prized exhibition pays tribute to the iconic artist who continues to influence and inspire so many art lovers, worldwide. Visit Shulman Says to view the article.